Who doesn't love ending the perfect meal with a delicious slice of cake. But, in my family there can sometimes be a bump in the road when it comes to traditional desserts and gluten free is a must. The best thing about eating healthier is that little alterations can make a big difference. Most of us tend to think that in order to cut calories you have to cut out flavor and luckily this isn't always true. Being that it's a new year, most of us are on a search for a healthier lifestyle. I was inspired by Aloha's natural healthy recipes and wonderful approach at clean eating by using wholesome, rustic ingredients to prepare something spectacular to enjoy with friends and family. Some would argue that the best cake is a classic yellow cake with chocolate frosting. So, with that in mind I decided to make a cake that is just as beautiful on the inside, as it is on the outside. 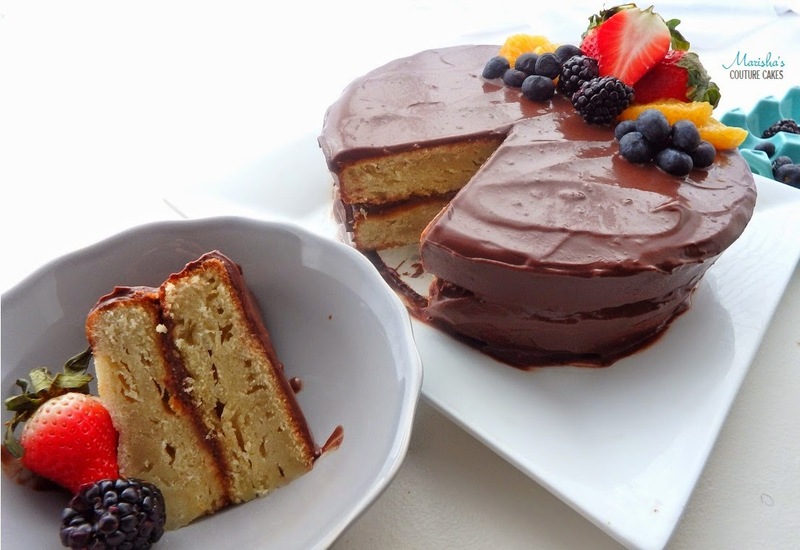 A gluten-free vanilla cake covered in chocolate ganache. 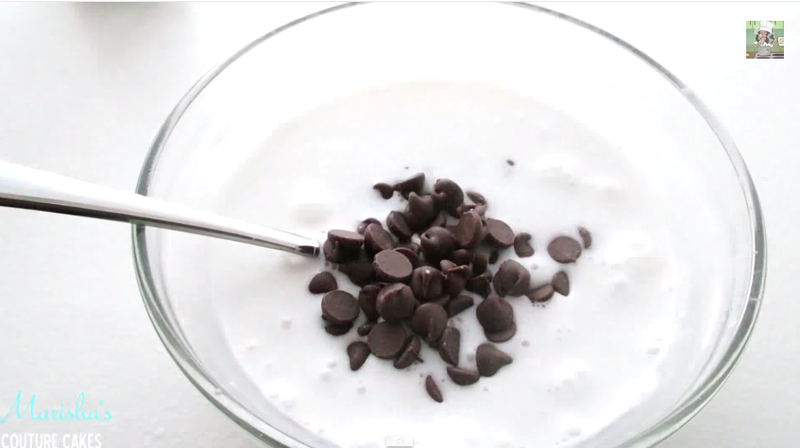 Now chocolate ganache can be fattening when prepared with heavy cream so instead, we're using coconut milk! One can of coconut milk is only 9 grams of fat and we're using 3/4 of that. So not only is this cake gluten free but it's also low in fat and cholesterol. To take it a step further try making it dairy free and sugar free. This gf cake mocks the texture of a sponge cake and has a delicate flavor. My mom actually fell in love with this cake and had to ask me twice if it was gluten free, so it's definitely mother approved. Click below to view the video. 1. Preheat oven to 350 degrees. 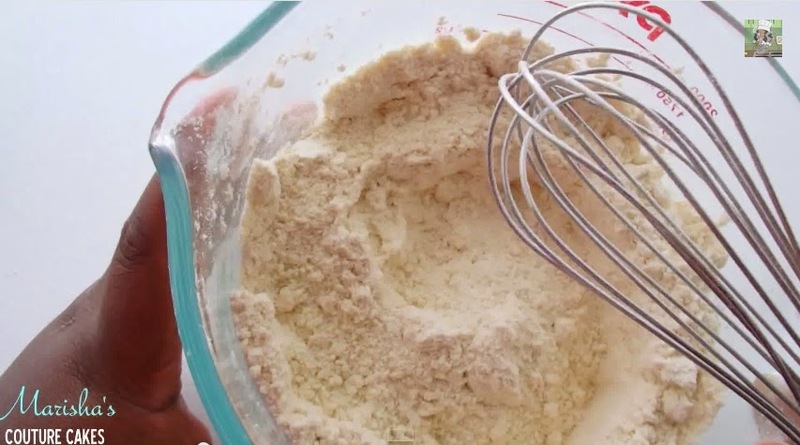 In a bowl, whisk the dry ingredients together (flour, sugar, baking powder, and salt) to break up the clumps. 2. Add oil and butter. 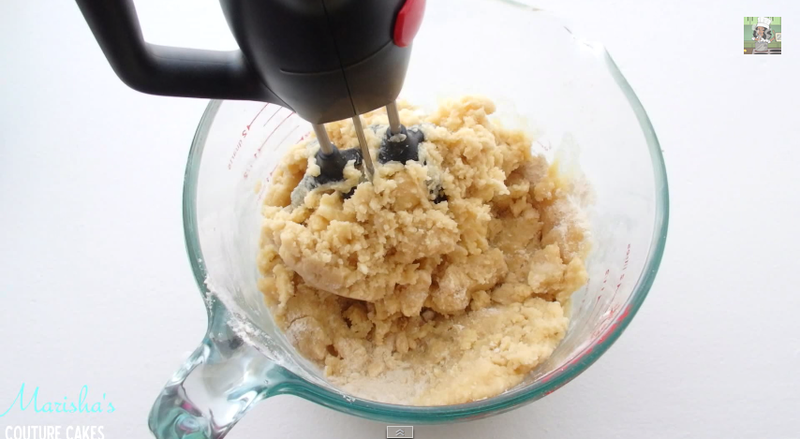 Beat with a mixer until all ingredients are fully incorporated. 3. Add the egg whites, mixing after each egg. 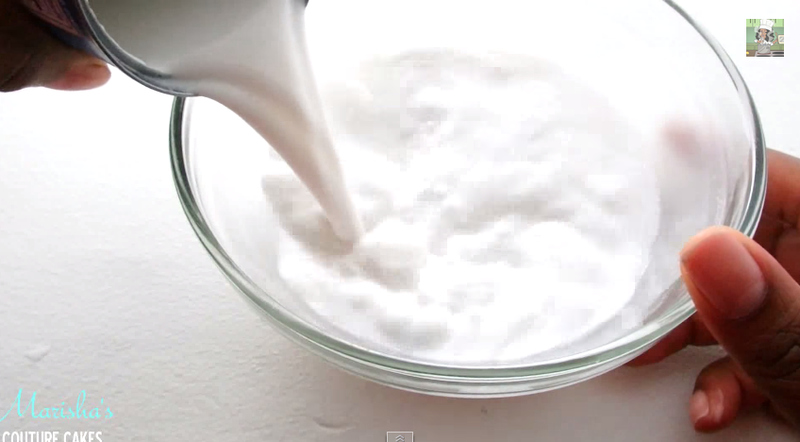 Then, add milk and extracts. There's no such thing as over-mixing with gluten free because there's no gluten to over work. 4. Grease and flour two 9" pans or three 8" pans. 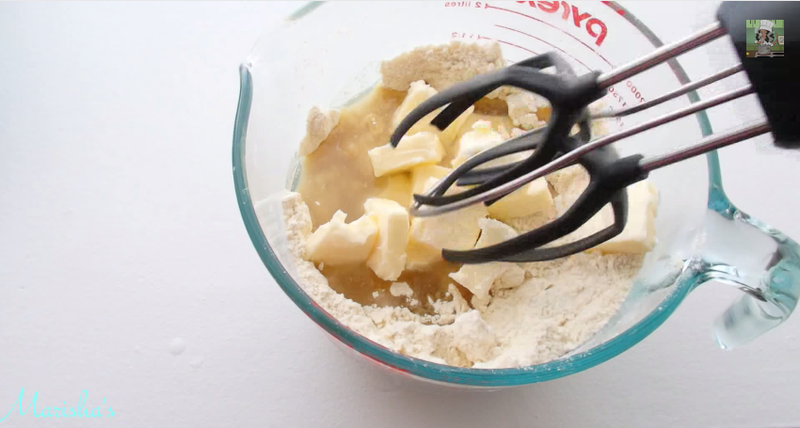 Fill the pans 3/4 of the way with batter and bake for 20 minutes or until a knife inserted in the center comes out clean. When done, allow to cool completely. 5. Pour the 3/4 of the coconut milk into a microwave safe bowl and microwave for 2 minutes and 30 seconds. Or, cook over a double boiler until it reaches a simmer. 6. Stir in the chocolate until all morsels are melted and ganache reaches a smooth buttery consistency. Cover and refrigerate for at least 2 hrs. or over night. When cooled the consistency should be thick enough to spread. 7. If desired, level the cakes and fill with a thin layer of ganache. I prefer to flip the top layer upside down for a flat top. 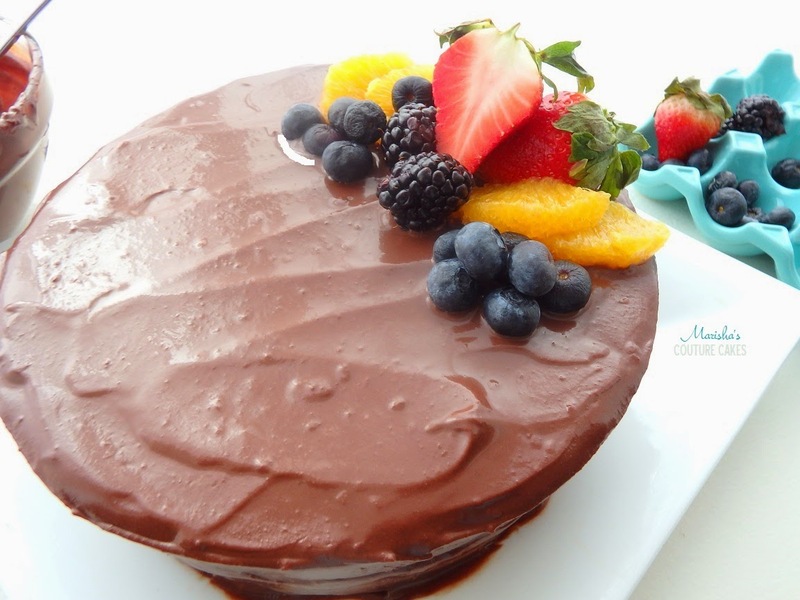 Spread a small layer of ganache on the top of the cake to fill in any small crevasses. 8. 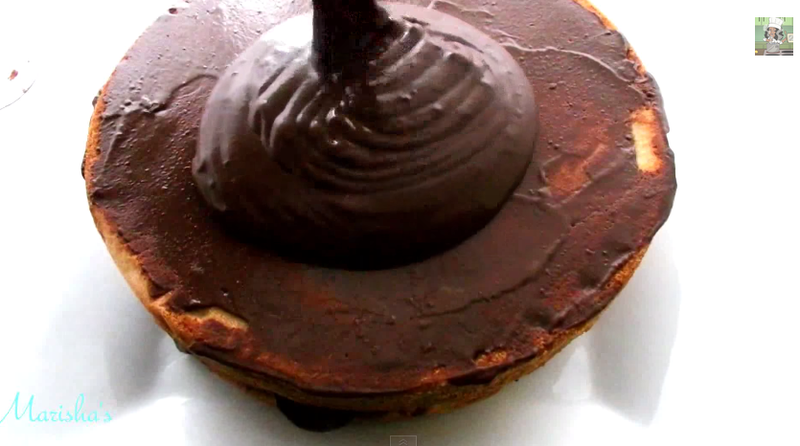 Melt the ganache in the microwave for 30 seconds or just until pour-able. For an easy pour, place the prepared cake on a rack with a sheet tray underneath to cake any chocolate. 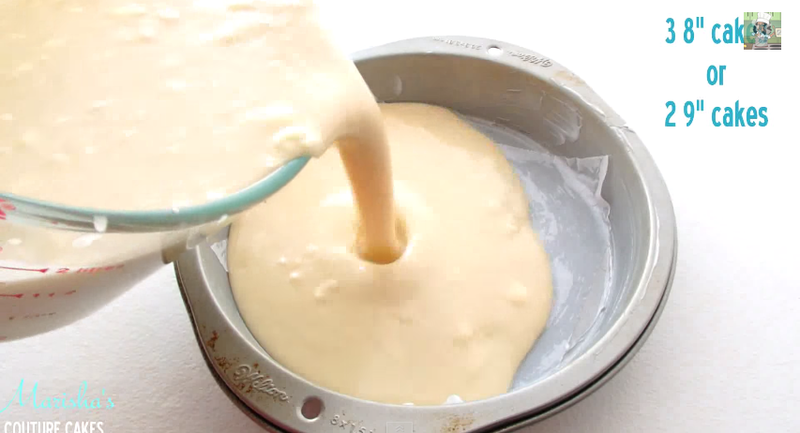 Position the bowl over the center of the cake and carefully pour the ganache allowing it to spread evenly to the edge. If needed, using a spatula or knife, spread the ganache around of the sides of the cake. 9. Top with fresh berries, orange segments, white chocolate, chocolate shavings or nuts. You can wait for the chocolate ganache to set or you can dig right in. Enjoy! If you're interested in Aloha's products or a free trial click here. Couture in a Gluten Free Vanilla Cake!